People around the world are choosing the e cigarette as an alternative to smoking, and many are using the device to quit smoking all together. They're smoke free, tar free, carbon monoxide free and odor free. Electronic cigarettes epitomize everything about modern technology that is wonderful. Purchasing a franchise dramatically increases your odds for success. U.S. Department of Commerce statistics show that less than 5% of new franchise outlets have been discontinued each year since 1971. By contrast 65% of new, independently owned businesses fail within five years. 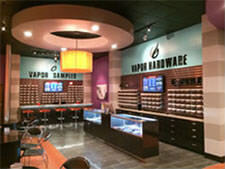 A successful Vapor Galleria franchise is an asset that can increase in value as you grow your business. If you are building your business as an investment, your return on that investment should be significantly greater when you sell it as the nationally recognized retail brand Vapor Galleria, rather than a non-recognizable name shop. 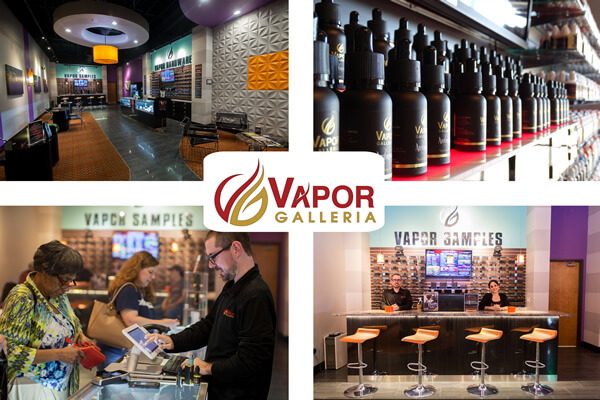 Vapor Galleria was established in 2013 after extensive research in the electronic cigarette business. An industry that according to Wells Fargo Securities is projected to exceed ten billion in sales in just three years. Our concept, although not new to the industry, is very organized and structured. We are operationally and ascetically way ahead of competitors. The design of our retail stores is upscale, professional and focused on the sales and service of high quality e-Liquid and hardware. We manufacture our own products in our white coat, fully automated lab in Oklahoma City. We have an experienced management team, led by Ed Williams, who has over 20 years experience in franchising. We have an aggressive growth plan, with two new company stores that have proven our concept and given us the ability to enter and capture market share through franchising. Our Franchise program offers comprehensive training and a systematic approach to allow our franchises to focus on customer service. We're looking for franchise owners who are outgoing with a desire to own their own business. The ideal candidate should have management, sales and business experience or a hard work ethic. Must be motivated to excel and ready to make a full-time commitment or have resources to open multiple stores. Vapor Galleria is currently accepting inquiries from the following states: Alabama, Alaska, Arizona, Arkansas, Colorado, Connecticut, Delaware, Florida, Georgia, Hawaii, Idaho, Illinois, Indiana, Iowa, Kansas, Kentucky, Louisiana, Maine, Maryland, Massachusetts, Michigan, Minnesota, Mississippi, Missouri, Montana, Nebraska, Nevada, New Hampshire, New Jersey, New Mexico, New York, North Carolina, North Dakota, Ohio, Oklahoma, Oregon, Pennsylvania, Rhode Island, South Carolina, South Dakota, Tennessee, Texas, Utah, Vermont, Virginia, Washington, Washington, D.C., West Virginia, Wisconsin, Wyoming.